Congratulations to Dzidra Noor (Labour, Levenshulme) and Julie Reid (Labour, Gorton South) for being elected as councillors. Levenshulme is split between two Wards – Levenshulme and Gorton South. Election results for Levenshulme local elections 2014 are as follows. Manchester City Council are offering grants of up to £200 to local residents’ groups to help make a difference in their area. The grants can be used to clean up your area or take steps to make your area greener. LCA communications and media are listed below. Everyone is welcome. Bookmark us. Post stuff. Send us things to advertise. The LCA has no political affiliation and aims to represent and involve all residents and groups across Levenshulme to help make our area a better place. The LCA Core Group is new this year as part of our new constitution developed last year. We wanted to create more opportunities for people to get involved (only the Chair, Treasurer and Secretary were elected before) and give the LCA more capacity to do more. I hope all these new and improved means of communication help us reach out to people and reflect Levenshulme’s diversity and vibrancy. 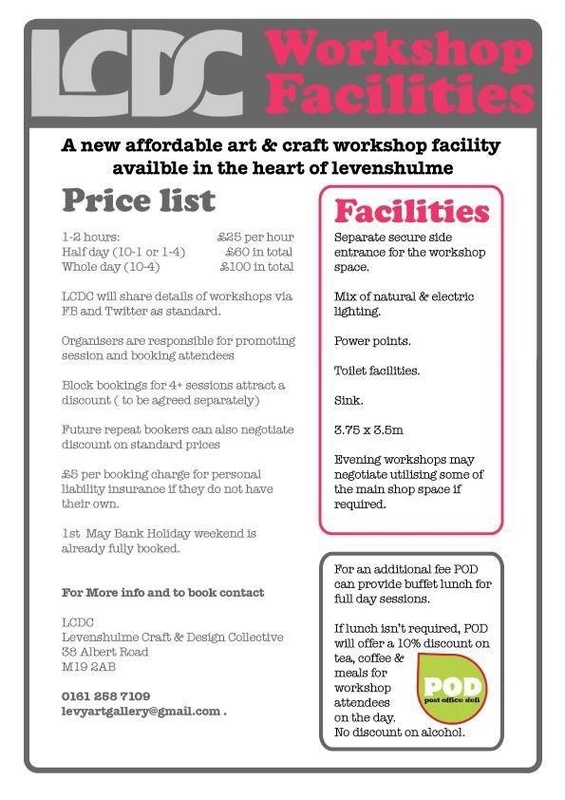 LCDC (Levenshulme Craft and Design Collective) workshop facilities are now available on Albert Road. Details in the attached flyer. Has Levenshulme made progress in the last five years? 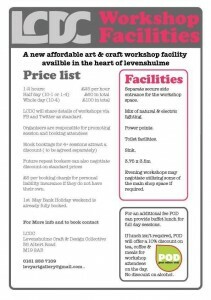 We are half way through the council’s ten year Action Plan for Levenshulme. How do you think it’s going so far?